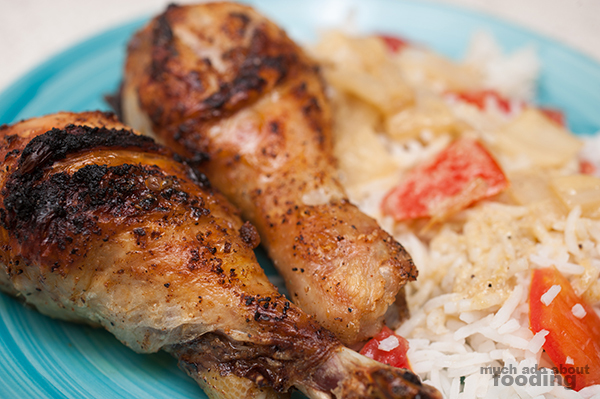 Mix together chicken with black pepper, paprika, garlic salt, and sunflower oil. Let marinate for an hour. 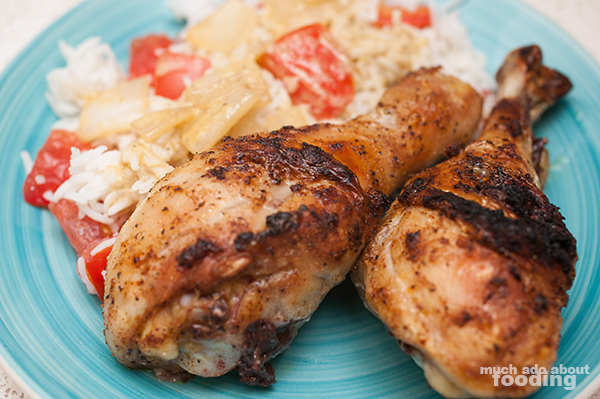 If you're short on time, you can let marinate for a shorter time period (at least 10-15 minutes) but it won't be as flavorful. Preheat oven to 450°F. Dice onion and slice garlic. 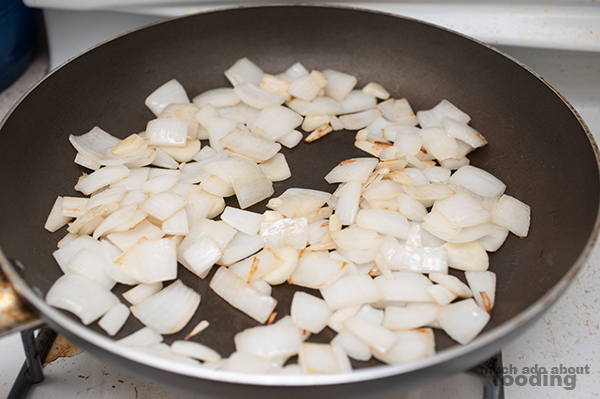 In a medium skillet, add just enough oil for a thin layer. Heat on medium high before adding in onion. Stir until onion starts to brown a little on the edges. Add garlic. When garlic gets toasty, add in water and jalapeno sauce. Mix thoroughly. Add in sour cream bit by bit, incorporating well until creamy. 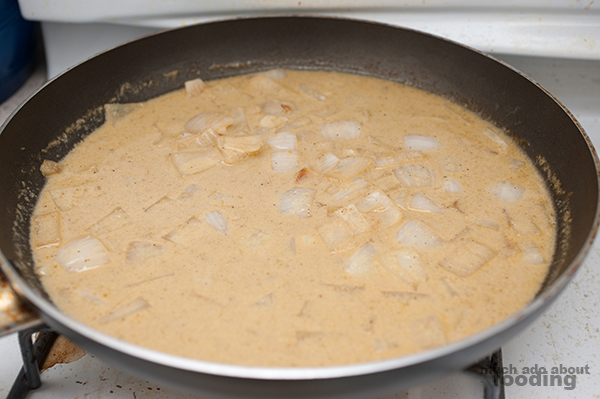 Since we were mixing ours into the rice, we didn't thicken it with any flour but if you'd like to thicken yours, dissolve 1 tsp of flour in hot water and add to the sauce. 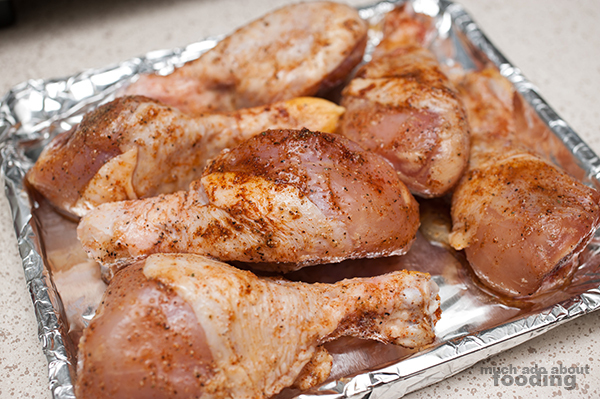 The chicken needs to roast for 35-40 minutes. When ready, enjoy with the sauce! 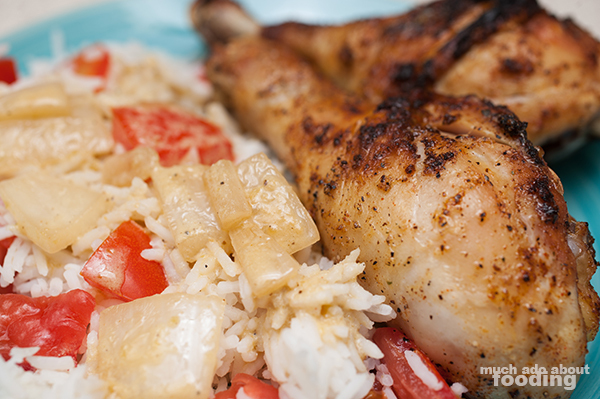 We put the sauce on the rice itself but you can definitely slather it on the chicken. It's quite a kick in the face but a happy and good one. Did we ever mention that a lot of times, the Test Kitchen ingredient chosen for the week is because we're walking through the grocery store and HEY THAT LOOKS COOL? 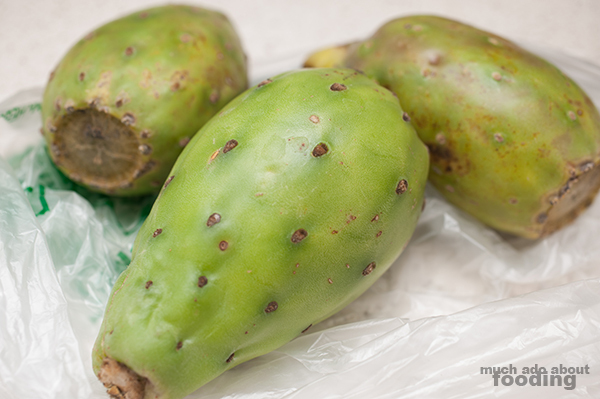 That's how we grabbed some green cactus pears to work with. Prickly spines on the skin make them a smidgen more difficult to hold but we like the challenge. It has a creamy interior with edible seeds. Share your thoughts on Facebook when this picture goes up!